This blog follows the development of a project that integrates teaching and learning for a range of subject areas through the production of a Visual Culture magazine. A complimentary project, based around a student band was been added in 2013. There have been some major changes in the world of Passionfruit Magazine since I last updated this blog. The catalyst for these changes has been me (Sam Cunnane) taking a new job as Visual Arts Team Manager at Wintec's School of Media Arts, and as a consequence, moving on from Fraser. I'll admit that the timing for this wasn't ideal for Passionfruit (given another year or so we would have developed more sustainable staffing), but some opportunities don't come round every year! 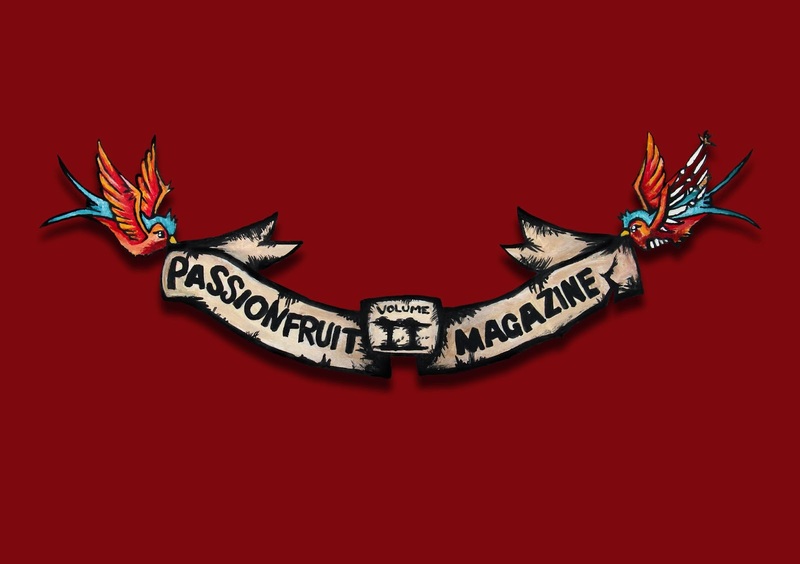 After some deliberation it was decided that the best option is for Passionfruit Magazine to take a break for 2014, with the possibility that it could be resurrected in a somewhat different form in 2015, depending on staff skill sets and availability. Looking back on two years of the project, one of the things I'm most pleased about is that we proved that integrated curriculum delivery and assessment is possible in the context of NCEA. We went further than speculating about an idea, to actually giving it feet and wings. It's been rewarding to see developments of this concept in the form of various projects at Fraser and the many people I've received emails from and had conversations with about how they're planning on doing similar projects at their schools. While it would have been nice to stay at the helm of the project for a number of years while it became more established, if it has served to encourage other people to take the leap into running their own project then I think it can be counted something of a success. Keep an eye out for the "Music Project" at Fraser, along with weConnect. To finish, I'd like to take this opportunity to thank the people who have been involved over the past two years, in particular the students who took part - Keegan Balfour, Caroline Barett-Haitana, Kayla Bason, Sarah Crawford, Lia Ellis, Jeremy Healey, Sharnae Hope, Harmony Hunter-Webber, Georgia Harris, Toni Kelly, Sarathonux Kor, Deaan Marchioni, Kella Matekohi-Samuels, Kirstin Mclachlan, Carissa McSheffrey, Sam Park, Ryan Playford, Jessie-Lee Radford, Tyla Roberts, Gemma Rockliffe, Ezra Shield, Devon Stockman, Joel Szabo, Natasha Williams, Jasmine Wiltshier and Sally Young - and the teachers who supported them - Anna Dowthwaite, Angela Rogerson, Lorena Strother and Jesse Te Weehi. On that note, it's over and out from me for now. Take care. You may be aware that there's been a bit of a kerfuffle lately about students in California 'hacking' their newly issued school iPads so they can access sites outside of the school-prescribed list, including the usual suspects Facebook, Pandora and YouTube. Audrey Watters summarised the issue nicely for The Atlantic. My initial response to this is surprise that a school district would be so naive as to expect that students wouldn't find a way to access the sites that they want to, and a little bit of disbelief that the districts are still trying to lock students out of these mainstream social media sites. It's easy to leap to the response of "we just need to teach students how to manage themselves appropriately online" as the logical fix for this problem. However, on further reflection I'm left wondering if this is overly simplistic, and much harder in practice than it is to tweet. Before I develop this idea further, let me take a little side track to a conversation I had with my Year 11 Photography and Design class (15 - 16 year olds, and one adult student) last Friday. We talked about the various forms of social media they use: Facebook continues to be big. Twitter is not. Pinterest has a couple of users. Some don't use social media at all. Tumblr was next to Facebook in popularity, and one member of the class had over 15,000 followers for her Tumblr. Yeah, I was blown away too. We talked about their sense of safety online too, and their general response was that they protect themselves by having pretty high privacy settings on the social media that allow that, and they seem to be reasonably critical in their thinking about who they accept as online friends. On the other hand, several had had accounts hacked, and the idea of 'creepy guys' trying to interact with them online was something that most had experienced in one form or another. In this context, what is a good approach for secondary school educators to take in terms of helping ensure the safety of our students online while at the same time facilitating the development of their powers of inquiry and critical engagement with the world? I'm not a big fan of a highly restrictive approach in the name of 'protecting' students because I think it seldom enables them to develop the skills that will enable them to look after themselves post-school (and outside of school hours). Obviously though, giving them free reign to go wherever they want and engage with whatever they like online is not reasonable either. I keep starting to write sentences that propose one idea or another, but the bottom line is I'm not really sure what the best approach is, and I'd like to hear from others about what they're doing in this sphere. If I was to make one suggestion, it might be to hark back to the concept that 'it takes a village to raise a child' and suggest that we need to engage our whole communities in helping our young people develop the skills to be citizens online. This involves engaging with them in their various communities both online and offline so we can continue an authentic conversation about who and how they are in the various worlds they inhabit. 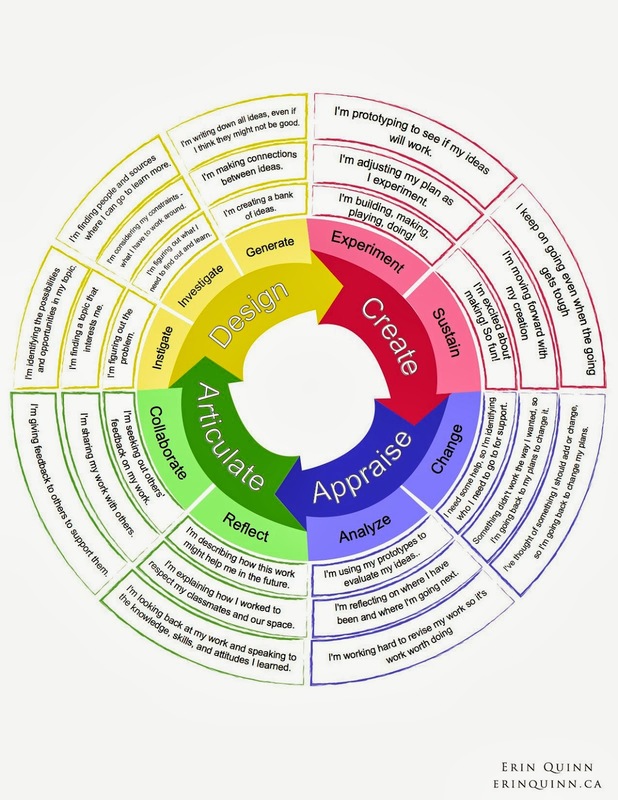 Recently I came across Erin Quinn's blog post about the Creativity Assessment Wheel, and it lead to a really interesting discussions between several members of our arts faculty about whether creativity can be taught or not. The crux of the issue came down to whether analysis of art works is a skills that can be developed by providing/co-constructing with students clear criteria about what is a "successful" image/musical work/performance etc., of if this is an inherent ability that some people have and others lack. We tossed this idea backwards and forwards, primarily based on a Lorde's track Royals (it's not strictly conventional so if you were teaching a student what made a 'good' track you might recommend that it didn't meet the 'standard' criteria for composition, but clearly it's worked anyway! ), and a Visual Art folio example. The more significant outcome of this discussion though, was a conversation I had with students afterwards. While we were talking about the Creativity Assessment Wheel four students were in the classroom working away on their folios for external assessment. When the other two staff members left, one of the students said to me "That was pretty intense! Is that the kind of discussion you and Mr often have?" 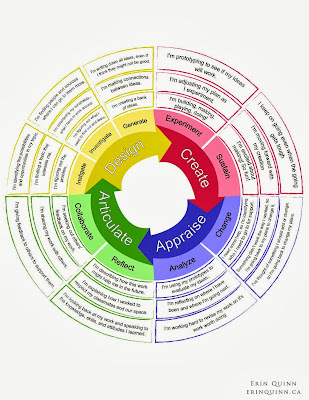 (I'd mentioned to them previously that I really enjoyed the discussions about approaches to learning that Jesse Te Weehi and I have from time to time), and we got to talking about what the students thought about the Wheel. This all got me wondering about how often as teachers do we model for our students the process of intellectual engagement with an idea. I think our current school structure doesn't provide a lot of room for this, and it's pretty easy for us to come across as if we have firmly established ideas about how to 'deliver' education. That probably doesn't help so much if we're trying to develop our students as lifelong learners, and people who tussle with ideas. Yesterday Fairfax published a story by Jo Moir about students using NCEA assessment resource exemplars as a source of much of what they need to know in order to pass school based assessments. The story suggests one of the key problems is that teachers frequently don't modify the exemplar assessments prior to using them with students, so students can access the 'answers' and memorise them. Image from The University of North Carolina at Chapel Hill. If this is the case, it seems to me that we have a massive problem with our entire education system. The issue isn't that students can access the 'answers', it goes much deeper than that. Recently I've ended up chatting with a number of people about Blooms Taxonomy and the categories from it that we tend to expect students to operate within. If students are working, and being assessed, at the lower end - remembering, and maybe understanding - then they can conceivably access an exemplar online, memorise it, and do well in the test. But if we are working with students in the evaluating and creating categories then the online exemplars provide nothing more than a structure to guide a learning experience, and there is no way to cheat because new understandings are being generated, rather than old knowledge being regurgitated. I've been wondering how a student could cheat at producing work for Passionfruit Magazine (Volume Two of which, by the way, is now available), or any similar project based learning, and I think it would be pretty hard to do. Yes, a student could conceivably find an article about an artist and try and pass it off as theirs, but they'd have to set up a fake interview that appeared to give them source material, and then provide multiple drafts that incrementally developed towards the final piece of writing. And then they'd have to do the same with a DPS design, etc, etc. Why would they bother?! I guess what I'm saying is that if the system is based on students engaging authentically with the world outside of school, and the motivation driving them is to make connections and learn more about how and why the world works like it does, the issue of them giving answers they've copied from elsewhere tends to be nonexistent. 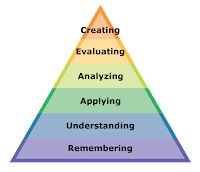 Most of the predictions I've read about the world we're trying to prepare students for suggests that the skills they need come from the 'top' of Blooms Taxonomy, not the lower regions. If we focus on that, the likelihood is that we won't really need to worry about cheating because we'll be generating something new, rather than repeating the old. Wow, it's been a while since I posted anything. That probably gives a good indication of the busyness of school lately, with an Education Review Office visit at the start of term, and the ongoing action packed life that is the development of Passionfruit magazine! One of our major excitements for the last week has been a trip to design industry conference Semi-Permanent Auckland to carry out some interviews, gather some inspiration, and, most importantly, to give students a chance to see some of the options for making a life in the arts. We ended up taking nine students for the two days, seven of them from Passionfruit Magazine and two others who were keen to join us. This was a really positive improvement on the three who came last year. This was aided by Semi-Permanent giving us two tickets to give away (and an extra free one - thanks heaps SP! ), which has helped build the profile of the magazine through social media. Here's a short video of some of what we got up to over the two days. The three people being interviewed are (in order of appearance): Askew One (Graffiti artist); Matt Boulder (Art Director of Digital Kitchen); and Kelly Thompson (Illustrator). Just after posting the last entry I watched the first five episodes of 'A Year at Mission Hill', a documentary about Mission Hill school in Boston. The collaborative (and extensive) planning their staff take part in, and the sharing of food at meetings and with the school community seem like they're approaches worth pursuing. A Year at Mission Hill. Chapter 5: The Eye of the Dragon. What is the relationship between points of entry into a study and engagement? I've been thinking a lot about the concept of manaakitanga recently, as it applies in the classroom, and in the wider context of staff leadership. For those of you unfamiliar with this Māori term, it's a concept that embodies the ideas of reciprocal caring for others and the environment, showing kindness and hospitality, treating people with respect and establishing nurturing relationships. The Kōrero Māori website provides an additional explanation of the concept if you're interested. What's interested me lately is how vital the establishment of an environment that embodies manaakitanga is for authentic risk taking and learning to take place. In the case of the magazine project one of the changes I've noticed this year is that those of us (yes, I include myself) who are in their second year have a much better understanding of the need to care for and support each other's learning if we are to collaborate effectively than we did when we were fresh into the project. While the day to day experience is definitely not all rainbows and light and happiness (just like any other working environment, although this one is staffed mainly with adolescents!) there have been several times when the group has noticeably drawn together to support each other when needed. As a result of this there seems to be a stronger sense of cohesion, and more students are going to a deeper level with the research and investigations they're carrying out. In the context of staff leadership I've been reflecting on manaakitanga as it relates to change management and raising performance. As a school (and let's face it, as educators in general, particularly those of us working in public education at the moment) there's a fair amount of pressure to raise student academic outcomes. In abstract terms this is pretty hard to argue with, and I think most individuals would agree that as educators we should be doing what we can to improve our students' achievement. However, in practice there seems to be quite a fine line between encouraging staff to review and reflect on their practice with an eye to improving it and leaving staff feeling overwhelmed or resistant to the changes required to see students do better. Once again manaakitanga seems vital to the process: without the experience of being respected and nurtured through the process it's much less likely that we will take the risks necessary to make meaningful and lasting changes to our practice. I read recently that from the word go Google set themselves up to provide a version of this kind of support (although I'm not sure what the Silicon Valley term for manaakitanga is!). However, I'd be interested to hear from others of you who are working in a public school environment about how you ensure there is an abundance of manaakitanga for both your students and your staff. 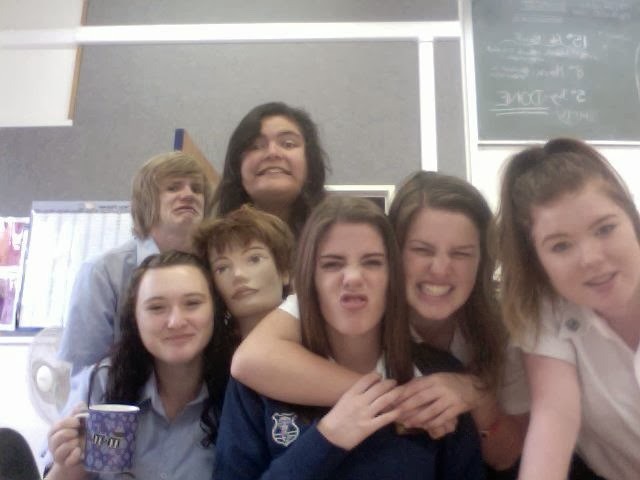 Visual Arts education. Optimist. I work for the School of Media Arts, Wintec, but the views expressed in this blog are not necessarily those of my employer. Something something and something else. I haven't made a post in so long I forgot what to call them.